Whether its quail, grouse, or pheasant -- a successful hunt means covering some distance. The Grouse is built specifically with the upland hunter in mind. A GORE-TEX® liner keeps feet dry, Cambrelle nylon wicks away moisture the foot creates, and the combination of full-grain leather, Cordura® nylon and stitchdown construction ensures the boot will stay together through the roughest conditions. The Grouse is everything a good upland boot should be. Grays Best award Winner. The Sierra 200 Gram is the smart choice for hunts that take you into rough, cold and soggy terrain. 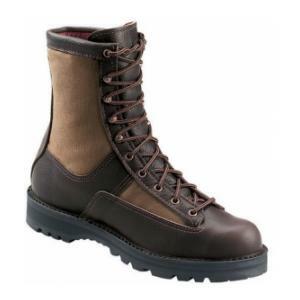 A practical three-season boot its strength centers around 200-gram Thinsulate™ Insulation and a self-cleaning Vibram® Sierra outsole that aids traction by preventing mud from packing in between lugs. A GORE-TEX® liner and full-grain leather ensures feet will stay dry, while tough, Cordura® nylon protects the upper from abrasions. No matter the conditions, the Sierra 200 Gram is a versatile boot for the hunter who pursues a variety of game.